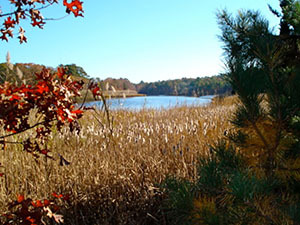 Minot Forest, owned by the Town of Wareham, offers several miles of scenic woodland paths. 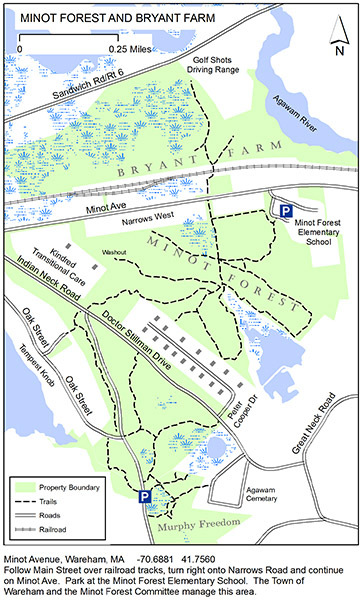 To explore the sights at Bryant Farm, access the trailhead from the Minot Forest Elementary School parking lot and proceed up the trail and to the right. 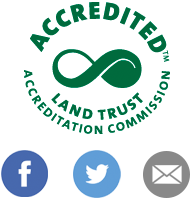 Follow the trail across Minot Ave. to the Bryant Farm Conservation Area. Access to Bryant Farm is also available from the Golf Shots Driving Range located on Sandwich Road. Directions: Follow Main Street over the railroad tracks, turn right onto Narrows Road and continue on Minot Ave. Park at the Minot Forest Elementary School.